System built under OEM agreement specifically for Nd:YAG Slab laser company. 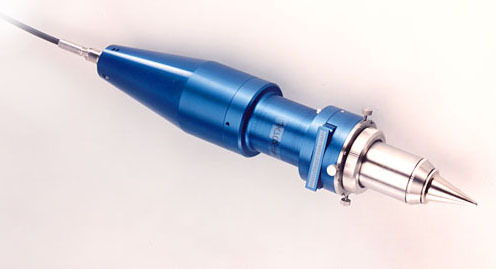 Assembly provides 1.5" diameter focus lens tip-tilt and X-Y axis adjustment. 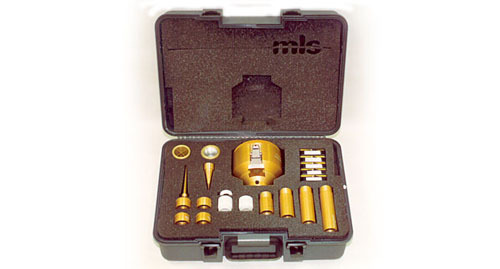 Specifically designed for deep hole drilling applications. System built specifically for Nd:YAG fiber optic cable drilling applications. 2.0" C.A. with recollimation and focus lens provisions. Cover glass cartridge and X-Y-Z nozzle adjustments.